Looking for realistic ways to save money for Christmas? We all do, and you are in the right place! 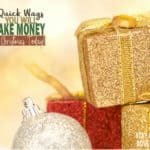 Today you are going to learn 20 ways to start saving for Christmas that work. Once you start using this tips and ideas, you will see your saving grow. Don't believe me? Keep reading! Believe it or not, sometimes saving money is not as hard or as complicated as we think. The hardest part is sticking to it and turning some of these ideas into habits. Christmas season should not be about stressing over finances at all. It should be about family and creating memories with family and friends. If some of the ways to save money for Christmas sound familiar, and you are still trying to find ways to save money, you are not implementing some of these tips, you are not sticking with them, and you are looking for a faster way to save money that doesn't exist. Remember, you have to start somewhere to make your money grow; this takes time. 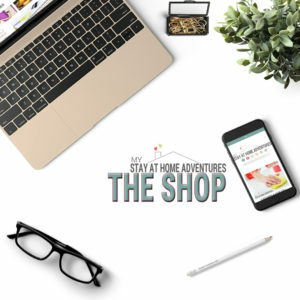 If you haven't saved money before then saving money will not be as easy as it seems that's why you need to follow these ideas and make sure that you keep going and don't give up! If right now you are living paycheck to paycheck, there are many ways you can save money. I wrote about it, and I know what it feels like because I lived it. 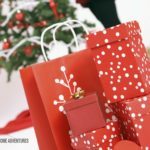 Why should you have money saved for the holidays? If you don't take action now and start saving, you will be in trouble when Christmas comes around. You will be so stressed and so worried about your finances that you won't enjoy your Christmas. I'm sure this will sound familiar; what bills are you not going to pay to get your Christmas shopping done? As I said, I've been there and done that and to help you get started to save money; I have some tips for you! You need a budget to know and control your finances. This is regardless of your income. Everyone should have a budget and know where their money is going. 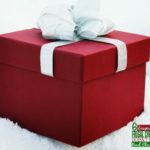 For Christmas last year, we did the 52 Week Saving Challenge and saved over $1300 on Black Friday. What we learned is that we didn't need to keep that amount of money. Don't get me wrong, I'm happy for the amount of money we saved, but for Christmas shopping, it was too much. Creating a savings goal for Christmas will help you stay focused and motivate you. You will be ahead of the game and will know what you have available to spend. This will also prevent you from overspending money since you already know what you to pay. What I mean is find a bank account, or a piggy bank, where this money is going to go. If you are going to save money, you need to have an assigned account, or jar (we have a pickle jar), where this money will go. I recommend you put away your saved money in a place where it's not so easy to access. This will prevent you from using this money and giving in to temptation. I personally use CapitalOne 360 for my 52 Week Saving Challenge, and it was the best thing I did. The reason I used CapitalOne 360 was that it wasn't so easily accessible to me. The debit card was stored away and came out Black Friday when we were ready to shop and use our saved money. I know myself and know that if my money is easily accessible, I will use it. I'm human; I know my faults. When I am emotional, I shop. 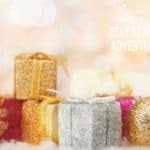 Now that you have an idea on how to manage your money, and where you should put your money, here are some ways that will help you save money for Christmas. Money challenges are fun, and they help you save money. 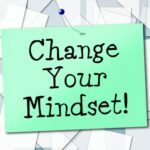 I did the 52 Week Savings Challenge and loved it. There are many money challenges out there, simply find the right one that works for you and your budget. Using coupons will help you save money, and this will add up. Remember to use coupons wisely, savings from using coupons can be big; up to 50% a transaction. You can use a coupon saving calculator to help you keep track of your savings. Before you go shopping, write down what you need. A shopping list will help you stick to the items you need and will prevent you from spending too much money. Stores have weekly sales, this a great way to save money. These sales cycle, so if you miss the sale, it will come around again. To save money, you have to stop wasting money. I am not saying that going out is a waste of money, but it is not a necessity. It is just that simple, save money and don't eat out. You will save a lot of money when you bring your lunch to work instead of eating out. Do you want to see how much you spent eating out? If you spend $7.00 every day you work, that is $35 a week. That's about $140 a month. That's A LOT of money you will be spending in 12 months. There are smart ways to help reduce your utility bill. From ways to save on electricity to saving money using Energy Star rated appliances, light bulbs, and even insulating your home to help you reduce your heating bill. If you add up how much money you spend buying your cup of coffee at a coffee shop or gas station vs. making it at home, you’d be surprised. Making your own coffee at home will save you a lot of money. Save that money and take care of your own nails. Stick to basic homemade meals and create them from scratch. It’s cheaper and healthier. Check your current cell phone plan and see if you can do better. Compare service plans and see what plan works for you. You might be surprised how much money you will save. Check out Republic Wireless, their lowest phone plan starts at $15! Believe it or not, when you use a cash-only budget (yes, cash. No debit card. No credit card), you save money. You can learn more about a cash-only budget here. Every two years switch insurance. You will be surprised how much money you will save. We save money every time we spend money with our Digit app, and I will tell you that we have managed to save thousands of dollars using Digit. It is one of our favorite apps because we save money without thinking. If you are starting to save money for Christmas, then using online survey companies to make some cash will be helpful. All you have to do is save the money you make with these companies and save it. Let's be real for a minute if buying Christmas decorations or keeping Christmas lights on outside will affect your budget, skip it. The truth is that those light up decorations cost money! It is OK, to skip and decorate at your own budget. Keep your Christmas decoration on a budget if that be but never go broke to try to show your Christmas spirit. Listen, again it's about what's good for the budget. The holiday season is all about parties and celebrating and getting together with friends and family, but it doesn't mean you have to go to all of them. 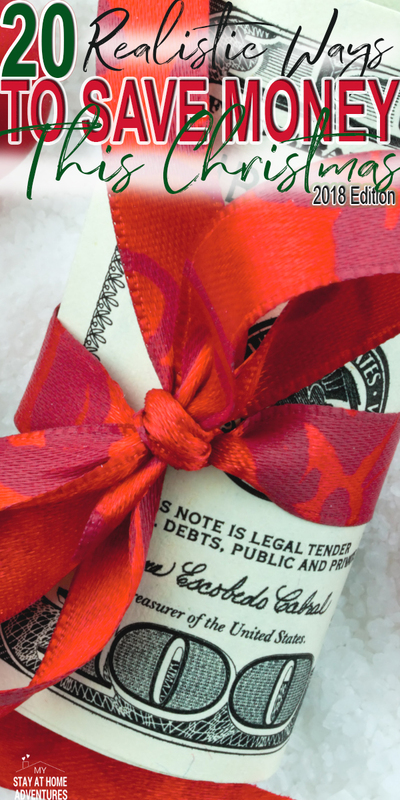 With these tips, there is no way you can't have some money saved for Christmas. These tips are doable, and once you start implementing them, you will learn to use them almost every day. Christmas is too important a season for you to be worrying about finances and not celebrating what is important. I am very sure that if you follow these tips, it will help you have a debt free Christmas. What other ways do you save for Christmas?